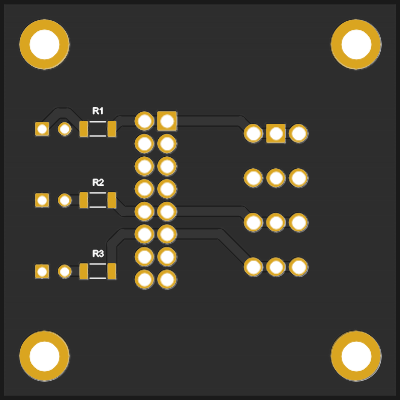 Also, there are some LEDs to indicate when power is present. 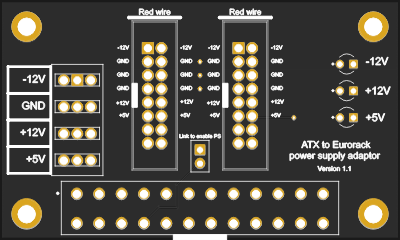 Need to power a USB device off an ATX power supply? 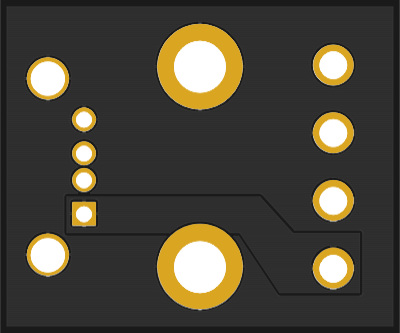 Maybe a screen for that cool briefcase computer you're working on? 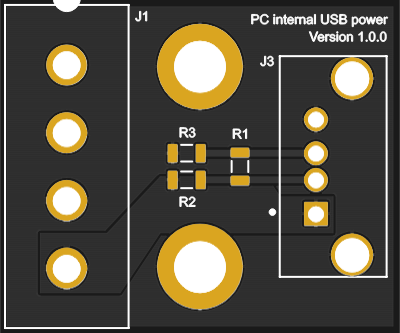 Well this board is for you. 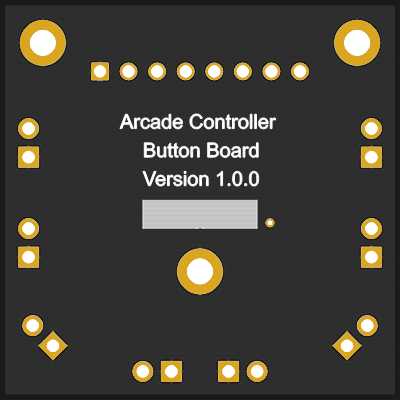 Button board for an arcade controller I'm making. 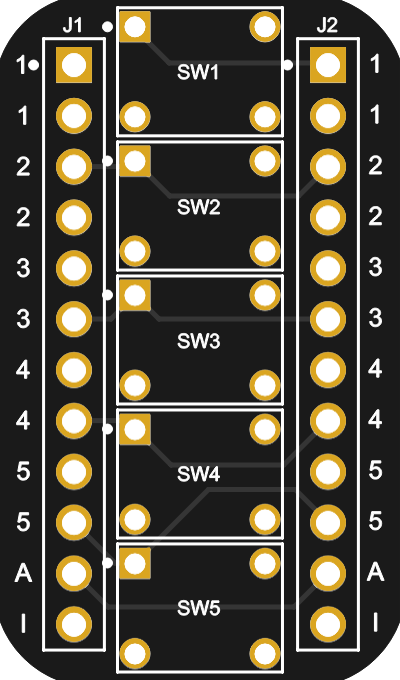 Basically it's a breakout board for an I2C GPIO expander. 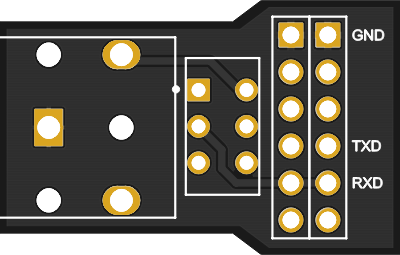 This tiny little board provides two FTDI-compatible 6-pin 0.1" headers, with the VCC and GND (power and ground) pins from each header linked to the corresponding pin on the other header, and the TX and RX (transmit and receive) pins crossed over. 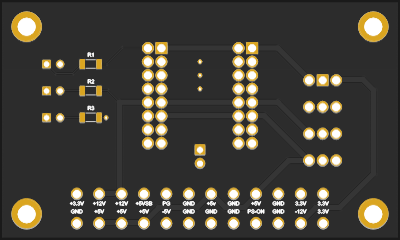 Buttons and resistors on a breadboard compatible PCB. 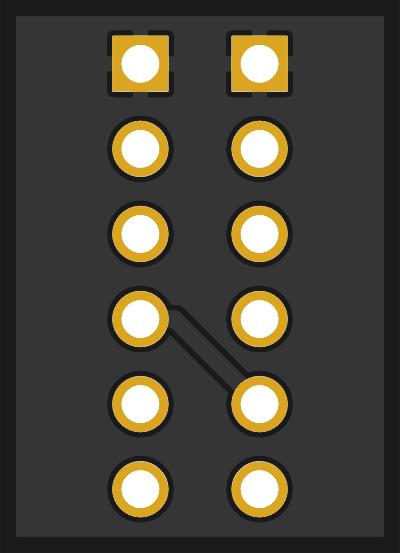 While the button is not being pressed, the input signal (numbered 1 through 5) is connected through a resistor to the inactive (I) pin. 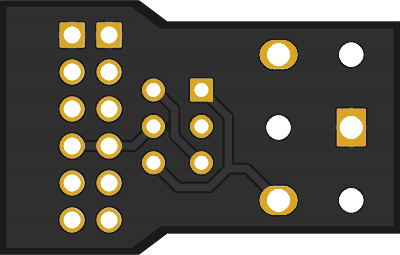 When the button is pressed, the input signal is connected to the active (A) pin. 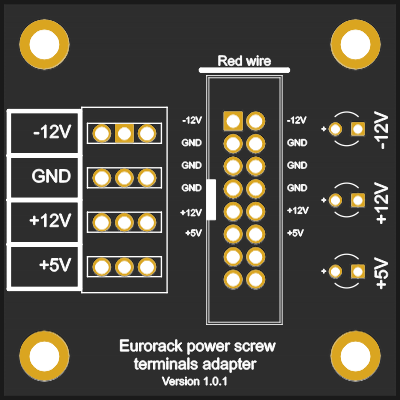 This enables you to select whether the buttons are active high or active low (or anything else really) simply by connecting a different voltage to the active (A) and inactive (I) pins. 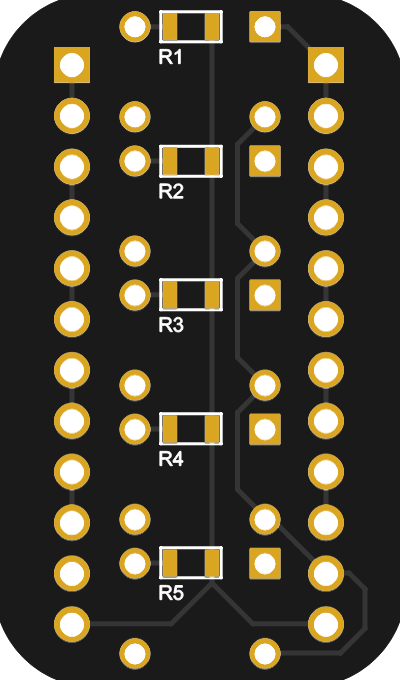 If you want the input to go high when a button is pressed (active high), connect VCC to the active (A) pin and ground to the inactive (I) pin. 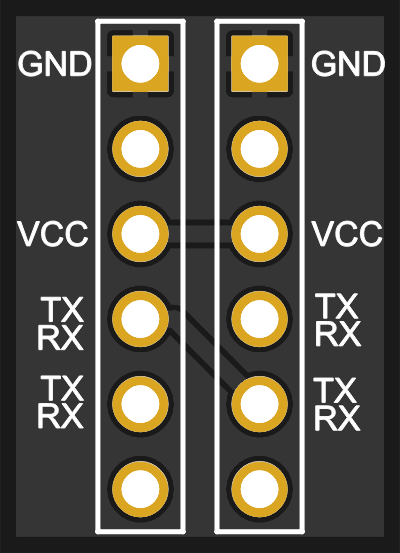 If you want the input to go low when a button is pressed (active low) connect ground to the active (A) pin and VCC to the inactive (I) pin. 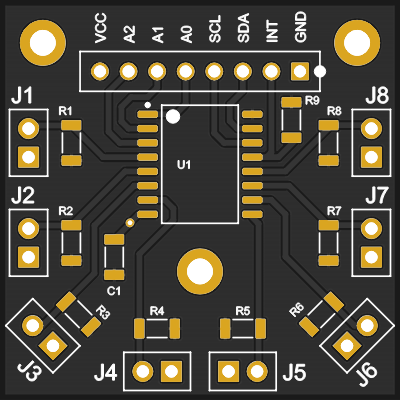 A simple way to get power and ground connected to both of the vertical rails on your breadboard.